Browse > Home / Marketing/Sales / Are You Hungry for Marketing Ideas to Expand Your E-mail List? If you’re a WordPress blogger, you know it’s easy to compile an e-mail list. You’ve got ready built-in resources for signups to your feed/atom or feed/RSS on your site. It’s a fairly simple process but it’s not so easy with a standard Web site. Both bloggers and Web site owners can benefit from the same potpourri of strategies to attract visitors and to persuade them to join an e-mail list. 1. Research which social mediums will work best to drive traffic to you. There are more than 300 social-medium options, but it’s too time-consuming to try to use them all. So be strategic. If you’re B2B, LinkedIn and Twitter, and perhaps Facebook will be sufficient. Many entrepreneurs and venture capitalists know Twitter is particularly helpful (see How Twitter Levels the Playing Field for Small Cap Companies). Bloggers need other resources, such as StumbleUpon, as does B2C with Pinterest and other sites. Make sure your accounts are up-to-date with your branding. 2. Strengthen your SEO (search-engine optimization).To attract quality visitors, social media doesn’t enhance your odds for visitor loyalty as well as SEO strategies (see Despite Hoopla over Social Media, Web Searchers Stay Longer). Once you attract visitors, you’ll be in a position to entice them to join your e-mail list. 3. Insert an opt-in e-mail box on each page. Actually, you can choose one or all of three locations on the page. The most-strategic location is the upper right corner. Secondly, mid-page on the right. Thirdly, at the bottom. It’s a matter of priorities. The opt-in box should be easy for readers to spot, but not the most salient item on a page. 4. Insert a tool bar for social-media sharing. Social-media tool bars will make it easy for visitors to share your content. Especially effective on WordPress sites is Sassy Social Share, https://wordpress.org/plugins/sassy-social-share/. Tool bars and opt-in boxes will help you developing a following, and will help you in developing valuable links for your site’s prominence on search engines. … the natural eye movement of visitors starts in the upper left of the page, then to the right across the top and down the right side. 5. Offer to provide a free white paper, e-book or “how-to” video. If your content isn’t strong enough to prompt users to visit you often and stay for several minutes, consider a free offering. Many Internet-savvy users like a free incentive if it provides value. 6. Insert a light-box pop-up for signups. Be careful, as your visitors might not appreciate pop-ups. It can be a turnoff, especially when asking for more than just basic information. But if you want to try it, it’s strongly advised that you don’t hit visitors immediately upon viewing your page. Wait 30-45 seconds. 7. Insert a Slideshare Pro. Slideshare Pro provides the convenience of a pop-up box. Of possible interest for bloggers, Slideshare Pro offers bells and whistles for the ambitious, tech-savvy publisher. 8. Insert annotations in YouTube videos. By using an annotation option on YouTube, you’ll be providing an explanation inviting users to subscribe to your e-mail list. 9. On your Facebook tabs, insert your e-mail opt-in. 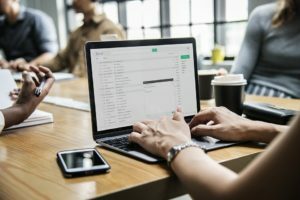 Depending on your technique or vendor for emailing, there are thousands of ways to do it. 10. Include a giveaway on your Facebook page. Facebook can be used as a tool to provide coupons, giveaways or to stage a competition. 11. Consider webinars. Whether you do your own or invite guests to be the talent, webinars have been part of the trend to grow lists. 12. Try guest blogging. To build traffic to your site and to capture e-mail signups, consider guest blogging (see Tips to Improve Your Odds to Get Published as a Guest Blogger). 13. Keep your opt-in forms simple. If you ask for more than a name and e-mail address, you risk creating the wrong perception — appearing to be too intrusive. If you do, people won’t participate. 11 Web Site Strategies to Grow Your Professional Service Firm — If you want to grow your professional-service firm, don’t ignore your most-visible marketing vehicle – your Web site. To retain and add clients to grow your practice,compelling thought leadership and other qualities that generate trust trust are key factors for your Web site. Marketing Essentials on a Shoestring Budget — How to grow your small business. Why do businesses sometimes falter?